Have you always wondered whether you are over weight or underweight? Body Mass Index, or BMI, is a tool that helps you measure the amount of body fat you have based on your height and weight. 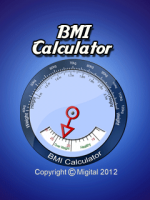 Doctors often use BMI to determine if a person is underweight, at a healthy weight or is overweight.